The optifine file is either not in the correct place, or named improperly. Re-read steps 1 thru 7 (pay close attention to the screenshot) of the optifine with forge (vanilla launcher) section. Thank you so much! My Minecraft is working now! The problem was that I had put my Optifine folder in .minecraft/libraries/optifine, but I was supposed to have it in .minecraft/libraries/net/optifine. If you are asking if a Configuration made in Magic Launcher changes a Profile in the Mojang Launcher, the answer is no. I will try to explain this as best I can, but hard to express it in text. The game Minecraft exists as a single jar file, stored in a folder, in the versions folder. In order to play minecraft, several Libraries are needed. Libraries are pieces of code that handle common things done by many applications, like keyboard and mouse input, 3D graphics rendering, etc. Since Libraries are more or less "common" to many versions of minecraft, thy are stored in the libraries folder. An Environment is a set of Libraries combined with a Version of Minecraft. An Environment can have optional Libraries, like Forge or OptiFine added to it. A Profile in Mojang's Launcher is an Environment with certain parameters, like amount of memory, screen size etc. applied to it. A Configuration is in Magic Launcher, and is almost the same as a Profile. It contains parameters like memory and screen size, but also contains a list Mods to add to the Environment at startup. The only thing common between the two launchers is the Environments. You cannot make changes to an Environment from Magic Launcher, only Mojang's launcher. I probably just confused everyone more, but I tried. My son had updated from 1.5.2 to 1.6.2 and nothing I had put into the game worked anymore. At first I could not get it to work but I think I had missed a step but I have it up and running great!! Thanks a million!!! How to make working Magic Launcher + Forge + ReiMinimap? Go into setup, and hit show log, clear, then test. Post the log. Please use the spoiler tag when posting logs. i got it converted. But Optifine I don't think will work for me. I only have 32bit java. Makes no difference. OptiFine will work on 32 and 64 bit java. I have Forge 804. Is this maybe the reason it is not working? I have a simple question that should be easy to resolve, I'm probably just derping. Basically I cannot get liteloader and optifine working together. I use liteloader for WE CUI and Macro mod, but I need to use the liteloader profile for that, which means I cannot use the forge profile which I need for optifine to work. What to do good sir? For clarification, using the liteloader profile (for macros and CUI) still enables me to use forge mods like normal, but because optifine needs the "-Dfml.ignorePatchDiscrepancies=true" I have to use the forge profile for that (does nothing in the liteloader profile) which stops liteloader and its mods. 2013-07-26 01:59:43 [SEVERE] [ForgeModLoader] There is a binary discrepency between the expected input class net.minecraft.block.Block (aqw) and the actual class. Checksum on disk is 6686c3fd, in patch 20a63e3e. Things are probably about to go very wrong. Did you put something into the jar file? 2013-07-26 01:59:43 [SEVERE] [ForgeModLoader] The game is going to exit, because this is a critical error, and it is very improbable that the modded game will work, please obtain clean jar files. It looks like one of your jars, either minecraft of forge was modified. Did you drop any files into them? If so delete the modified jar. 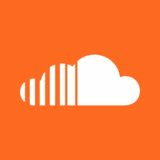 You must not modify jars with 1.6.2. After you use the Forge installer, run the LiteLoader installer and check the box for "Chain Install"
This gives you a LiteLoader + Forge Environment (Environment name is still just LiteLoader). Thanks for the speedy reply, but yes sir, I did do that, hence i can run the rest of the forge mods (using the liteloader environment) however optifine does not load unless I use the forge profile. I followed the guide in "Installing OptiFine with Forge and/or LiteLoader (Mojang Launcher)" except that I was using Forge#804 (the latest build) just as stated. It did not work, but after some experimentation with the .json file I found out a solution. Just posted this here in case anyone encounters this problem. Yes I modified jar. How to modifiy it then? Or where to put it if in instructions is that i have to put one thing into minecraft.jar? For example if i put ReiMinimap into mods folder then in launcher it say thats its "Internal mod" and it dont work. So then how the hell install it if i cant put it into minecraft.jar? Did you install Forge? If so, you can use magic launcher to add Rei's minimap. Can you launch your LiteLoader profile with Optifine and post the Launcher log? Are you using the -Dfml.ignorePatchDiscrepancies=true parameter on the liteloader profile? You might want to add to the tutorial that Linux (and maybe Mac) users have to rename the optifine zip/jar so it is entirely lowercase. Eg: optifine-1.6.2_HD_U_B4 rather than OptiFine-1.6.2_HD_U_B4. You know... I use Linux on a semi-regular basis and should pay closer attention to case sensitive file systems huh? Changing guide. Thanks for the catch! Hello and thank you for this guide, I wouldn't have been able to do this on my own. Everything works, except a tiny detail: the window size. I'm using Optifine and the -Dfml.ignorePatchDiscrepancies=true parameter. Happens to me too, not sure why. Not sure why you needed to do that, but will update the guide to reflect it. What OS are you on by chance? In the vanilla launcher? 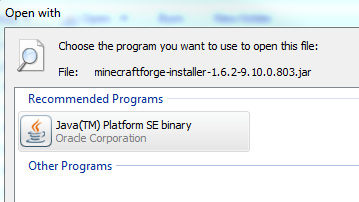 When all else fails, try deleting you minecraft install and starting fresh. That seems to clear most issues like this up. Check the modification times if you do not believe me. Try right-clicking on the file, choose "Open with..."
Use the Java SE Binary. You only need to do this if double clicking the jar opens it in winzip or winrar. Perdón por la traducción automática. ¿Qué ayuda se refiere? No estoy seguro si he entendido esta primera parte. Mods Forge van en la carpeta de mods, excepto los de los "Mods with Issues" sección.